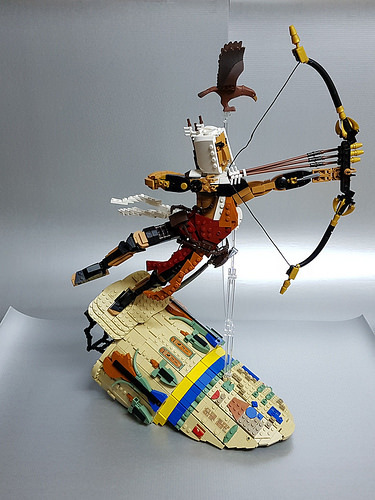 Inspired by the upcoming stealth-adventure game Assassin’s Creed: Origins, Kevin J. Walter presents a LEGO statue of ancient-Egyptian protagonist Bayek. His leaping pose is dynamic, enhanced by the flow of fabric from his outfit. The shaping is excellent and the choices of parts and colors for his assassin’s gear match up well with the character in the trailers.